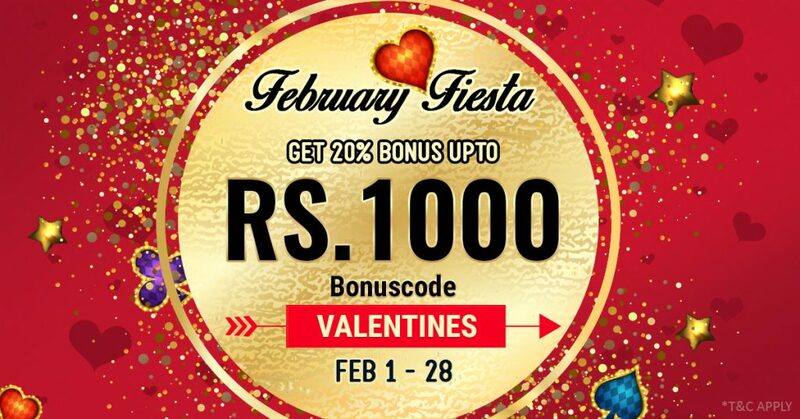 We don’t know what your party plans are for Valentine’s Day but we have you covered with our fabulous February Fiesta rummy bonus offer. 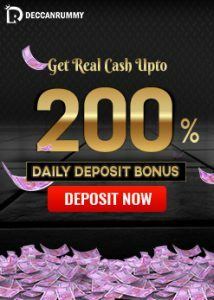 This February get a chance to win 20% bonus upto Rs. 1000 for one of your deposits. Use the deposit code “Valentines’ while making a deposit. The bonus will be credited instantly and would be credited as bonus points. It’s time to give yourself a bankroll boost by loading your account with this solid bonus offer. There’s only one way to win it, so you best be in it, to earn it! These are great times to be a Deccan Rummy player, because we are adding multiple bonus offers each month! Players always can find something suited to their taste with our diverse range of promotions. If you are someone who’s been playing free games all the while, it’s time to upgrade yourself to become a cash player because cash rummy is where the chances to win big money lies and also you get to meet your match in terms of skill. Enjoy our real money games online, or by downloading our rummy mobile app or with our desktop client rummy software. Deccan Rummy is committed to create engaging, beautiful games & tournaments that are compatible in Desktop & mobile. To ensure players play with an incentive, we frequently come up with exciting offers and tournaments. Since our beginnings in 2013, we’ve worked hard to create a mark for ourselves in this competitive rummy online industry with our unique platform and exceptional promotions. Deccan Rummy offers a fantastic rummy platform for aspiring rummy players with an impressive collection of rummy games. 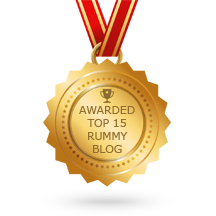 Does not matter whether you like to play rummy tournaments or try out different rummy variants or even play rummy free as a pastime, we’ve got you covered. Before you can avail this bonus you will need to take advantage of the 100% welcome bonus offer in the event you have not availed it yet. That is a massive Rs. 5000 Bonus! Don’t let that go! Availing that opens up a door of rewards for you! There’s no love like the love of DeccanRummy.com, and it’s time you jump in front of our cupid’s arrow! Head over to Deccan Rummy immediately to cash in on rewards and experience the love today. 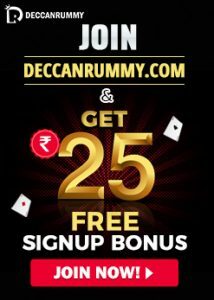 If you’ve not yet signed up for a Deccan Rummy account, register in our site now by following our simple 3 step registration process! Gear up for some cut-throat rummy action!